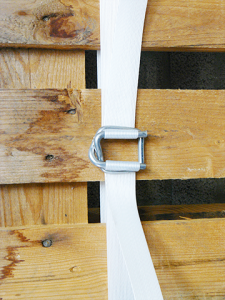 The Cader strapping is developed especially for palletizing and bundling your load. Polyester strapping is a safe and cost effective alternative to steel strip and is produced using the latest technologies. In order to meet the international regulations for road and sea transportation, our strapping is certified by GL and DB.